After a person is involved in a vehicle collision, he or she is required to remain at the scene of the accident to exchange identification and insurance information and render aid where necessary. 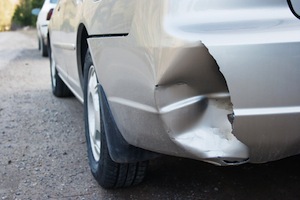 Failure to remain at the scene of an accident, more commonly referred to as “hit and run,” is a serious criminal offense that can result in significant penalties. Hit and run incidents that result in the death or injury of another person are treated more severely than hit and run events that only involve property damage. As a result, a hit and run incident resulting in injury or death is usually charged as a felony under California Vehicle Code Section 20001 VC. The duty to immediately stop means that the driver must stop his or her vehicle as soon as reasonably possible under the circumstances. Providing reasonable assistance means that the driver must determine what assistance, if any, the injured person needs and make efforts to see that this assistance is provided by the driver or by someone else. This could include transporting the injured party for medical treatment or calling an ambulance. The driver of a vehicle must perform these duties regardless of who was injured or how the accident occurred. It does not matter if someone else caused the accident or if the accident was unavoidable. After spending the night drinking at a bar, a man is driving home when he accidentally rear ends the car in front of him. He sees that the driver of the other car has sustained obvious injuries, however the man is afraid he will be arrested for driving under the influence of alcohol so he drives away and does not stay to help the other driver. This man could be charged with felony hit and run in violation of California Vehicle Code Section 20001 VC. In another example, a man is driving his car when he is involved in a vehicle collision with another car in an unfamiliar neighborhood. He immediately stops his vehicle and notices the other driver is seriously hurt, however people from the neighborhood begin to surround his vehicle and throw bottles at him. Fearing for his immediate safety, the man drives away from the scene of the accident and immediately contacts authorities. In this instance, the man would have a viable duress defense if charged with felony hit and run. As mentioned above, if a defendant is forced to flee the scene of an accident because there is a reasonable threat to his safety, he would have a valid duress defense if charged with hit and run. Additionally, there may be situations where a person is involved in a collision without even realizing it. If the person reasonably did not know that he or she was involved in a collision, there would be no criminal liability for hit and run under the statute. Despite being commonly referred to as felony hit and run, California Vehicle Code Section 20001 VC is actually a “wobbler” offense that can be charged as either a felony or a misdemeanor. If the collision results in injury to another person, the defendant can be sentenced to up to a year in jail if charged as a misdemeanor and up to three years in prison if charged as a felony. The defendant would also be responsible for victim restitution in addition to costly court fines. If the hit and run incident results in the death of someone else, the defendant could be sentenced to at least 90 days and at most a year in jail if charged as a misdemeanor and up to four years in prison if charged as a felony. Restitution and fines would also be imposed. If you have been involved in a hit and run incident, it is important that you speak with a Los Angeles Criminal Defense Attorney as soon as possible. Even if you have not been charged, a criminal investigation may be ongoing and a Los Angeles Criminal Defense Lawyer can work to prevent charges or have them significantly reduced. Los Angeles Criminal Defense Attorney Michael Kraut is a former Deputy District Attorney with over 14 years of prosecutorial experience who has had great success in defending clients charged with hit and run offenses. For more information about felony hit and run, and to schedule your free consultation, contact Los Angeles Criminal Defense Lawyer Michael Kraut at the Kraut Law Group located at 6255 Sunset Boulevard, Suite 1480, Los Angeles, CA 90028. Mr. Kraut can be reached 24/7 at 888-334-6344 or 323-464-6453.